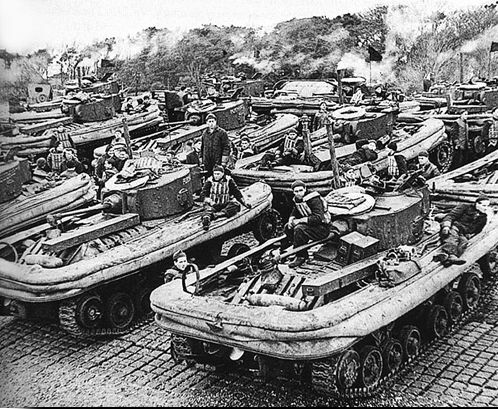 Source text:...British Tanks of World War II by T.Gander and P.Chamberlain. 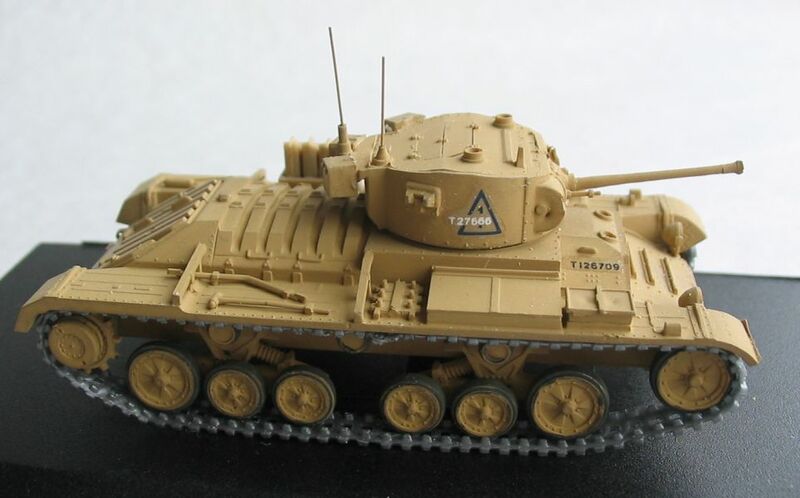 The Valentine was originally a Vickers private venture based on the considerable fund of experience gained with the A9 and A10 Cruiser tanks, and used the same suspension and many other components. 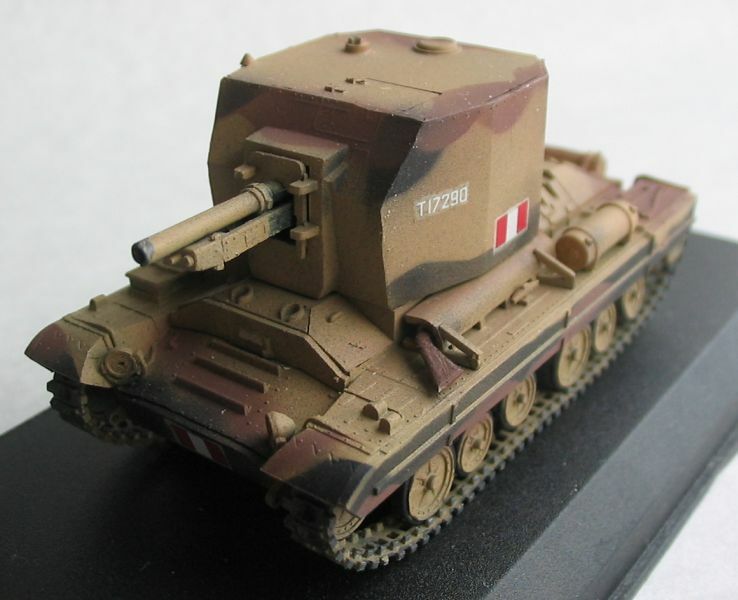 In 1939 it was thus possible to order the Valentine infantry tank almost 'óff the drawingboard' and as a result of the development carried out on the earlier, lighter tanks, the Valentine was a reliable and usefull vehicle. 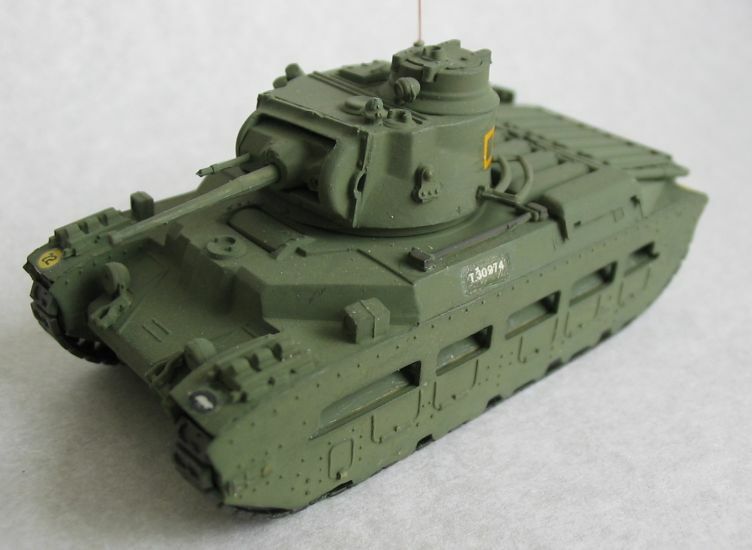 The first Valentines entered service in 1940 and for a while they were used as cruiser tanks as a result of the prevalent tank 'famine' experienced until late 1941, and in the desert campaigns they proved to be good fighting vehicles, although they were hampered by the 2pdr armament and the vehicles lack of speed. 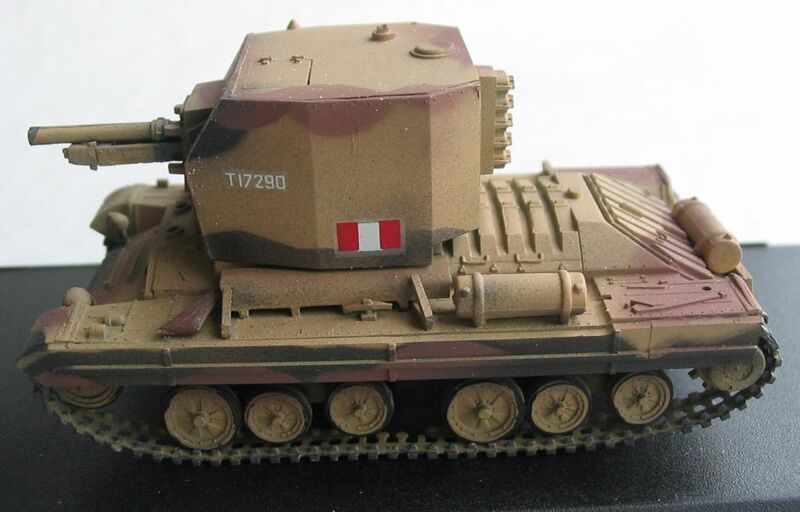 In time the 2pdr was replaced by a 6pdr gun and eventually by a 75mm gun. 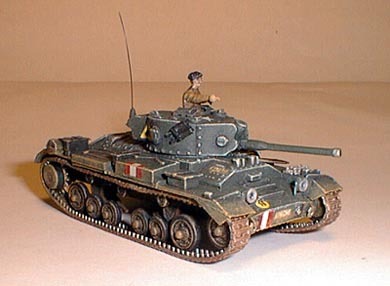 The Valentine was one of the most widely produced of all British tanks (by early 1944 when production ceased 8275 had been built) but after 1943 its value as a fighting tank declined and the type was used as the basis for a long string of special-purpose vehicles. The Canadians also opened a production line and built 1420 vehicles nearly all of which were sent to Russia. 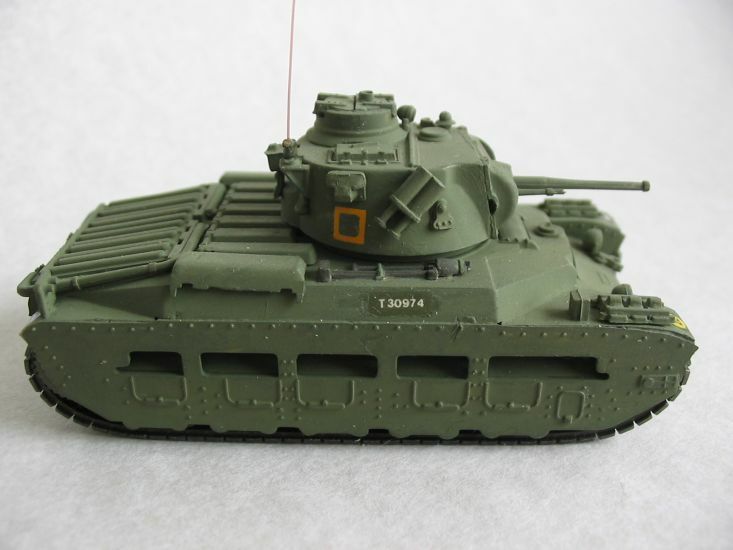 The Mk III/V version of the Valentine Infantry Tank. Several of these saw action in Tunisia during the final months of the Africa Campaign. The turret is a new three-man version, but carries the same 2 pdr gun and co-axial MG as earlier marks. The only difference between the Mk III and V was the engine. The Mk VIII/IX version of the Valentine. A few of these actually saw action in Tunisia during the closing months of the Africa Campaign. 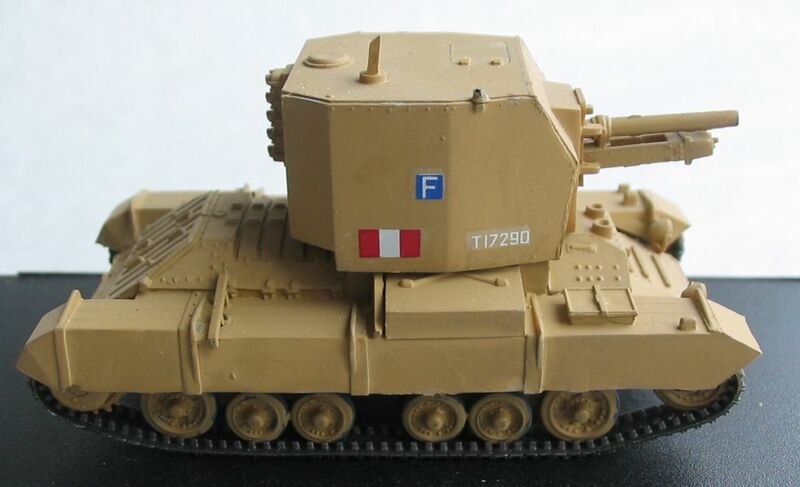 The turret is a modified version of the three-man turret introduced with the Mk III, and carries the 6 pdr gun replacing the earlier 2 pdr. The co-axial MG was deleted, and crew reduced back to two. The only difference between the Mk VIII and IX was the engine. Similar to the Mk X, which was built with a co-axial MG.
Valentine I :...Original production version with 135hp petrol engine and 2pdr gun. 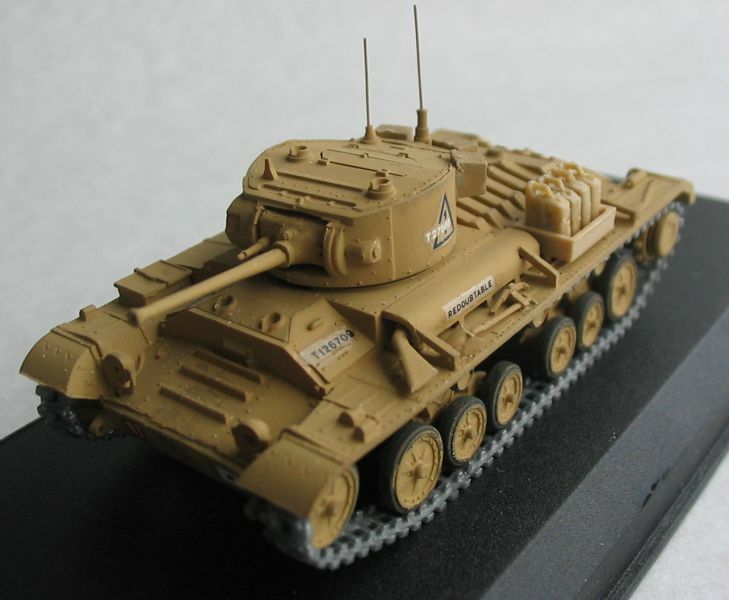 Valentine II :...Fitted with 131hp diesel engine -some fitted with desert sand shields and long-range external tanks. Valentine III :...Enlarged turret to accomodate extra crew member. Valentine IV :...New 138hp diesel engine in Valentine II. Valentine VI :...First Canadian production version, similair to Valentine IV. Valentine VII :...Improved Valentine VI with detail changes. 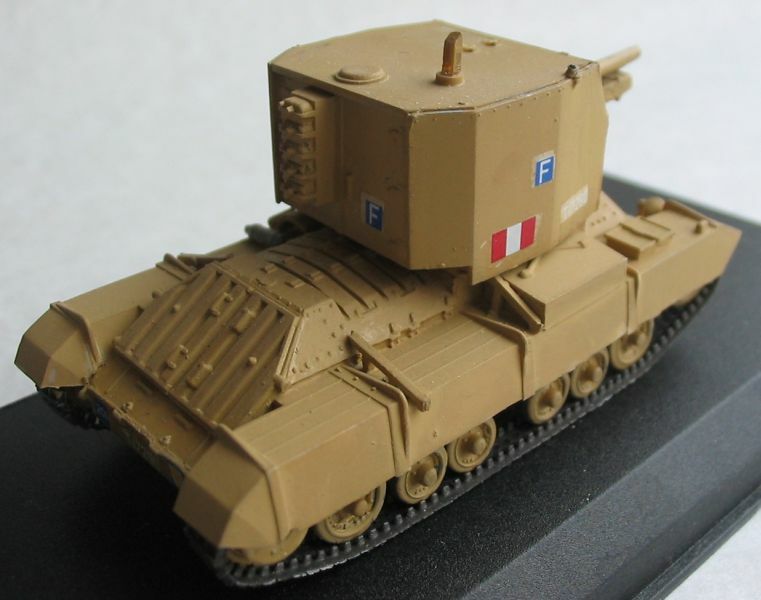 Valentine VIII :...Upgraded version with 6pdr gun -turretcrew reduced to two-. Conversion from Valentine III. 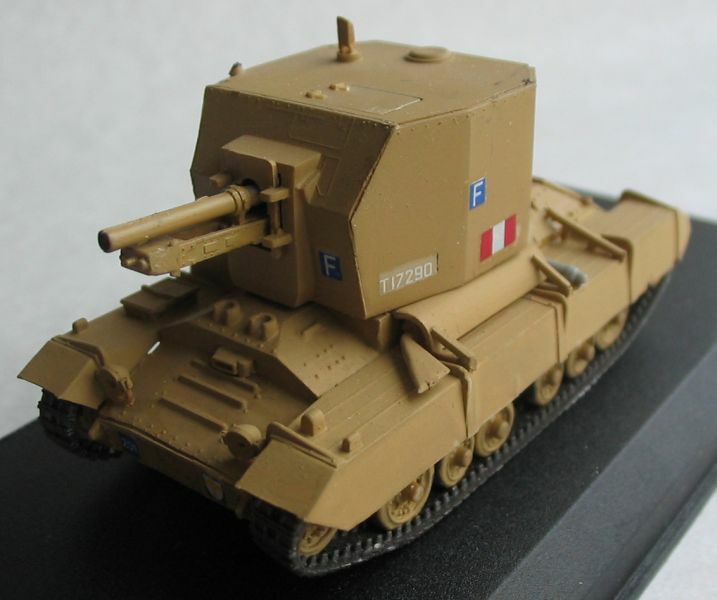 Valentine IX :...Conversion from Valentine V with 6pdr gun. 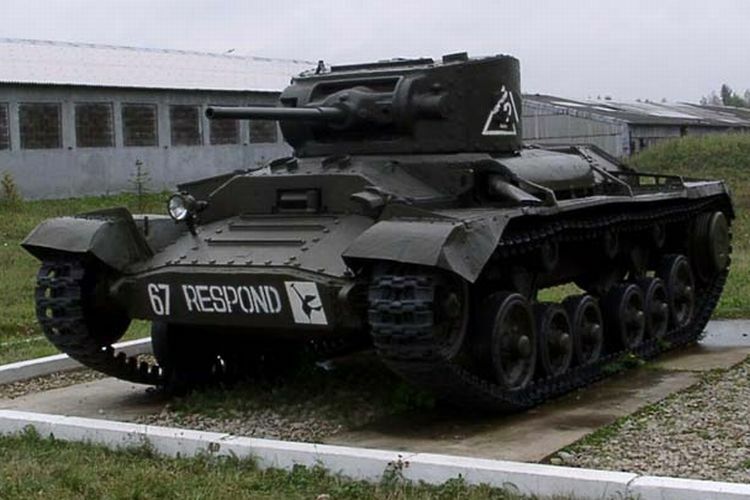 Valentine X :...1943 production version with 6pdr gun and new 165hp diesel engine. 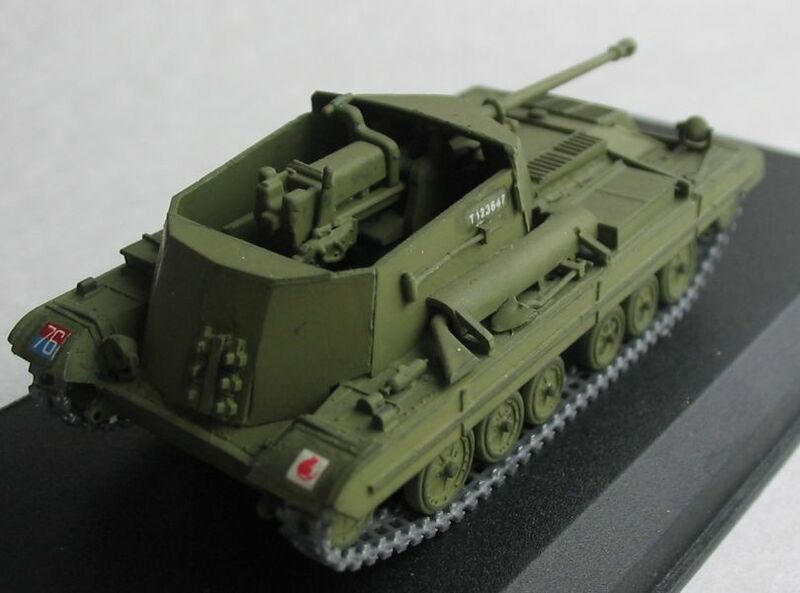 Valentine XI :...As Valentine X but with 75mm main armament -final production version. 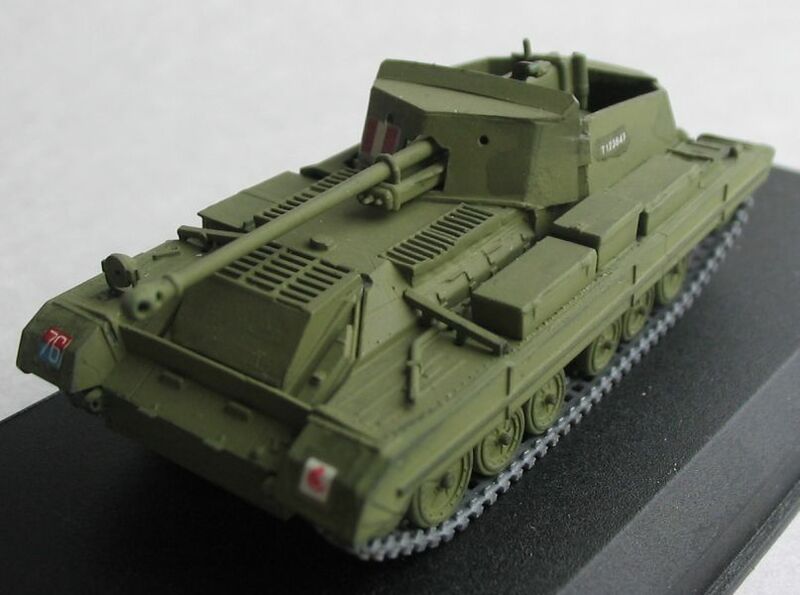 Self-Propelled Gun, BISHOP:...The Bishop was an attemp to provide some form of SP gun support to the British armoured divisions. 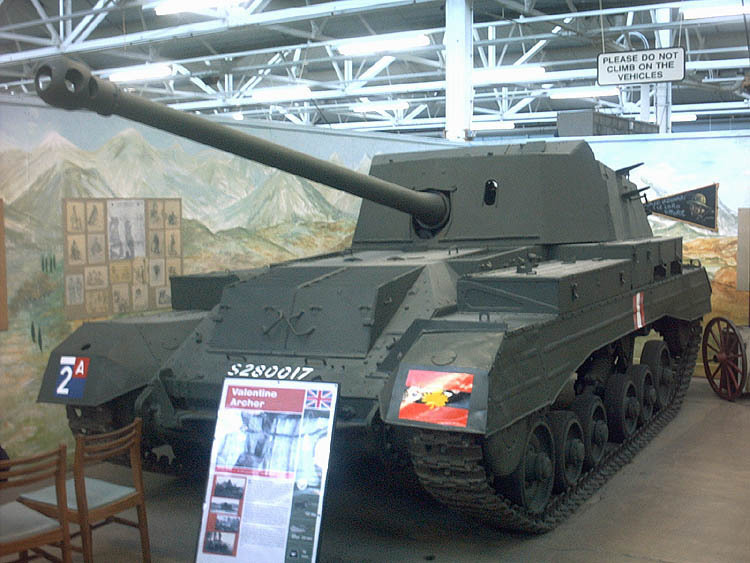 It housed a 25pdr gun in an armoured box mounted on a Valentine chassis. 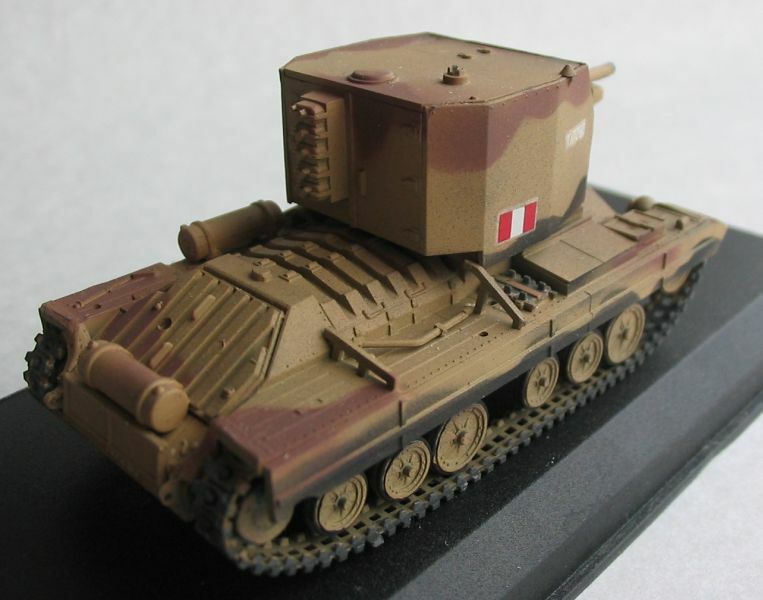 The Bishop was not a great success and was replaced by the M7 Priest 105mm gun as soon as possible. 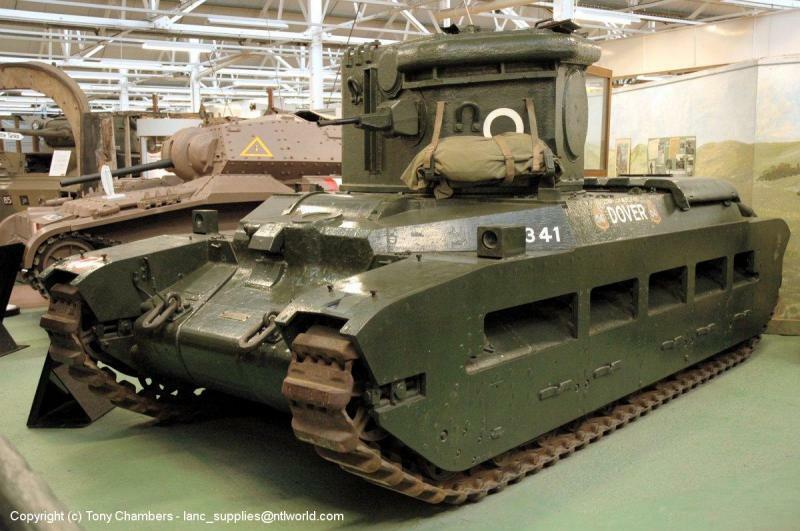 About 80 were produced but after 1943 they were withdrawn. 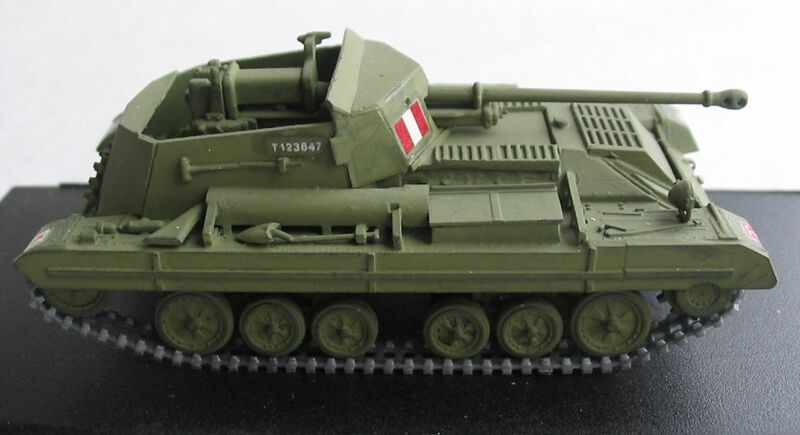 Self-Propelled Gun, ARCHER:...Unlike the Bishop, the Archer was a much more succesfull conversion of the basic Valentine which mounted a 17pdr A/T gun pointing to the rear an a limited-traverse mounting. 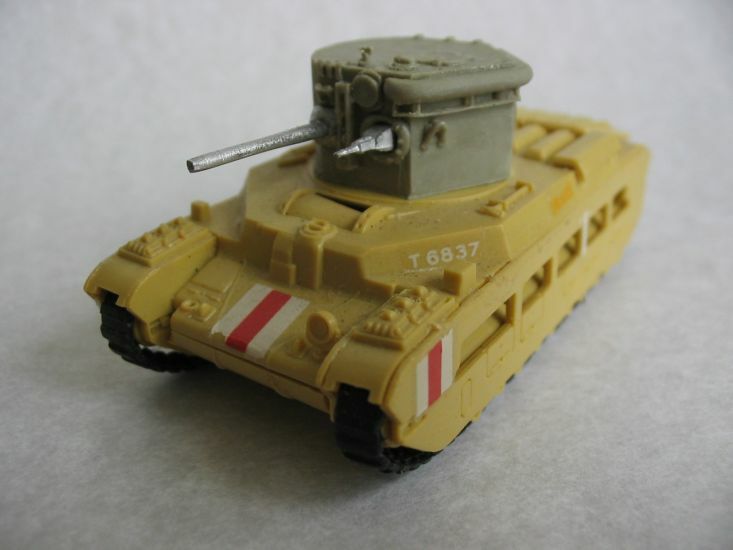 It was used as a 'tank-killer' from late 1944 onwards, and proved a popular and useful weapon. 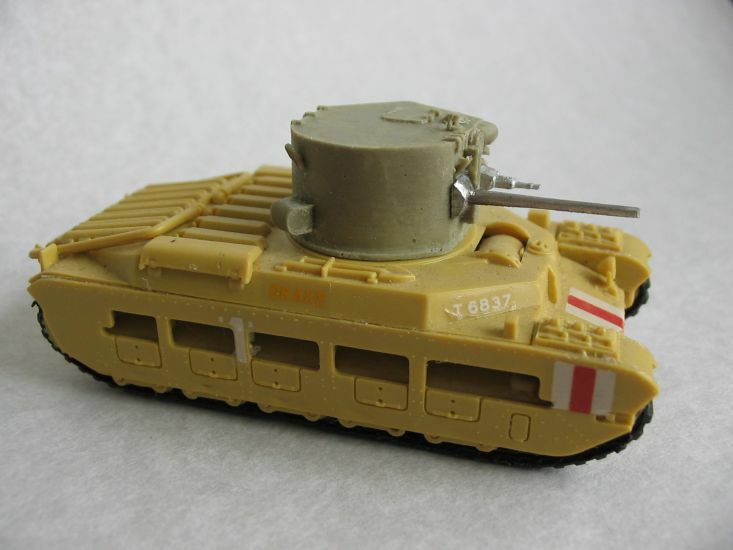 Infantry Tank, Valiant (A38):...This was a 1944 improvement of the basic Valentine design but only prototypes were built as by 1945 there was no further need for an infantry-type tank. 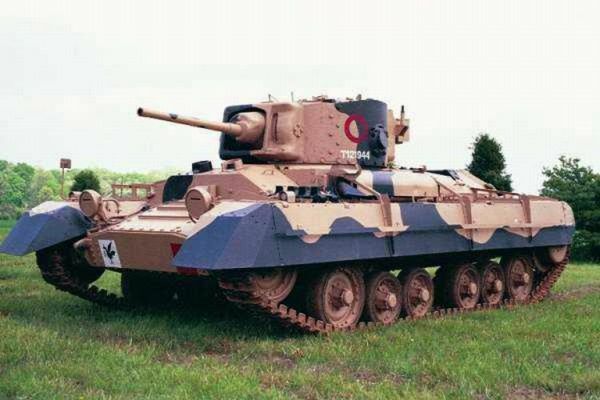 Valentine CDL:...This mounted the same CDL turret as the Matilda CDL, but was not used in action. 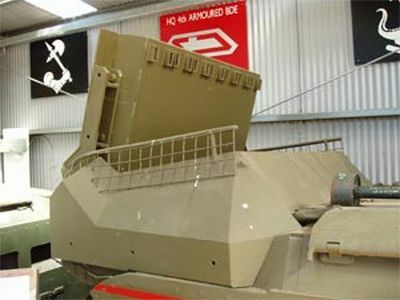 Valentine OP/Command:...This was a Valentine with the main gun removed to provide space for wireless sets, mapboards, etc. Used in Archer formations. 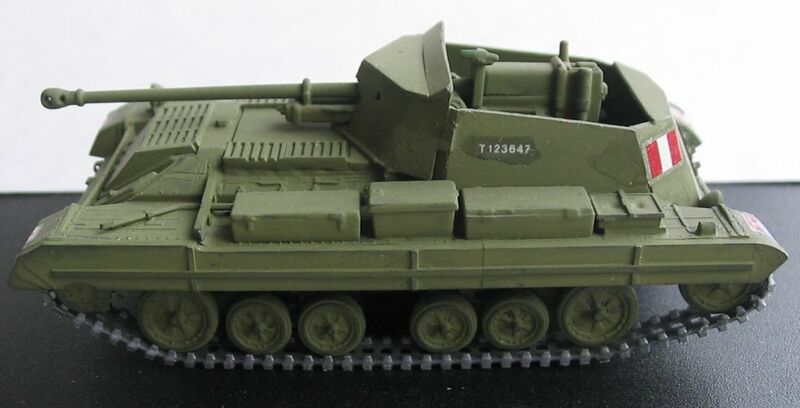 Valentine Scorpion II:...Mine clearing flail tank -not used in action. Valentine AMRA Mark 1b:...Mine roller device not used operationally. 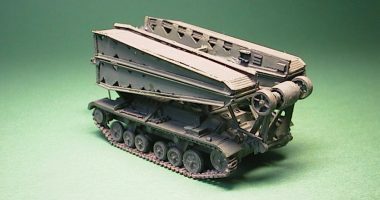 Valentine Snake:...Mine clearing device dragged acros a minefield. Actually a pipe filled with explosive to blow a passage across a minefield. 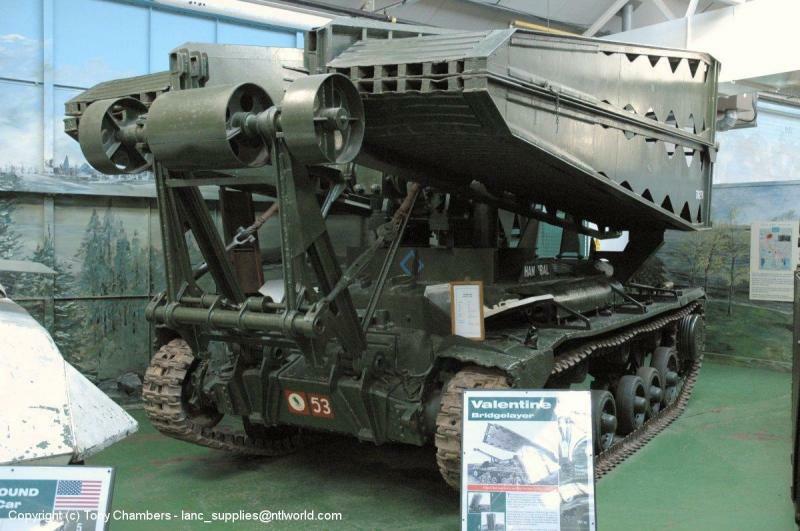 Valentine Bridgelayer:...Used extensively by British armoured divisions in Europe 44/45 and some in Burma 1944. Valentine 7.92inch Flame Mortar:...Heavy mortar mounted in a turretless Valentine. Trials only. 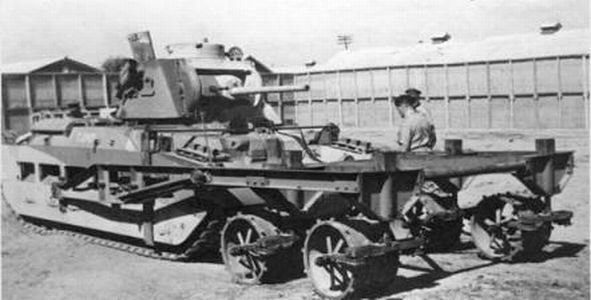 Valentine with 6pdr anti-tank mounting:...Trials vehicle with 6pdr on open mounting, 1942. 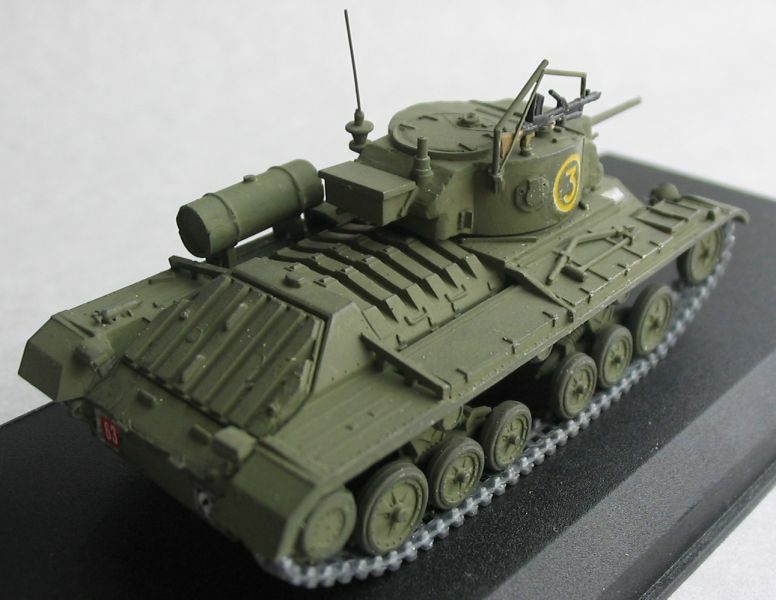 Valentine DD:...At one time it was decided that the Valentine should be the standard 'swimming' tank but in 1944 this rule was taken over by the M4 Sherman and the Valentine DD was used for trials and training only. Valentine Flamethrowers:...Various trial machines that were used to develop flame warfare devices. 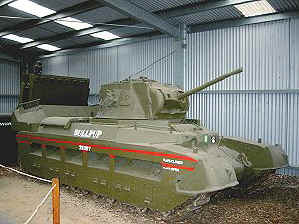 Remaining example RAC Museum Bovington U.K. 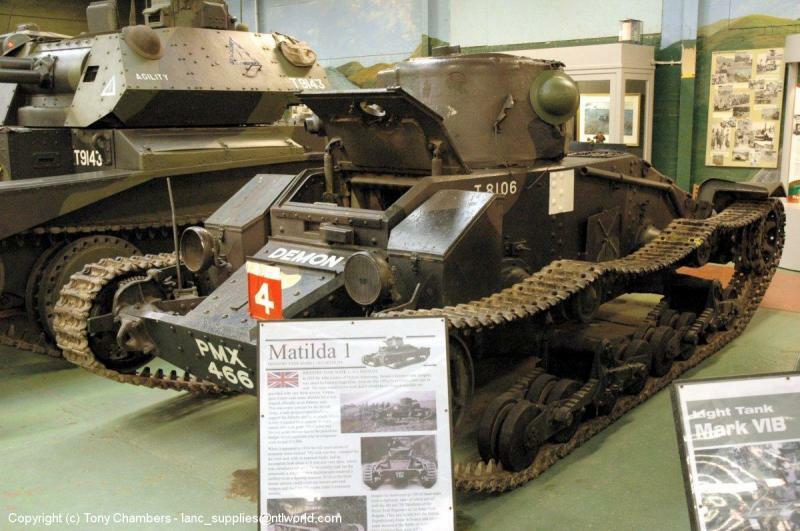 There is one surviving Matilda Hedgehog, from 6 or 7 (including a prototype) built. This is an the RAAC museum, Puckapunyal. The launcher folded horizontal facing forward for travel, then up to 80 degrees elevation for firing. It fired forward over the turret. It was not traversable, the driver had to aim the vehicle at the target, then the gunner adjusted the elevation. 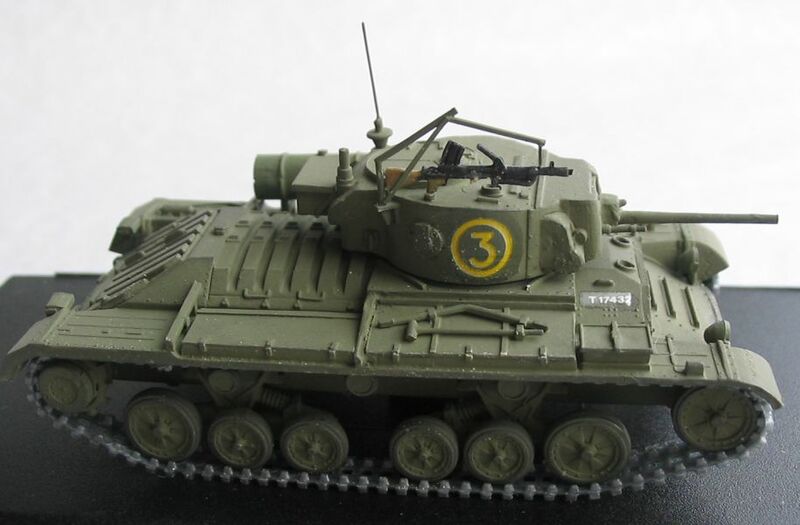 The first Mark-II Infantry Tank was delivered in 1938, and is design was entirely new and owed nothing to that of the Mark-I. It had its origins in 1936, but early production was slow and by 1940 only a few units in France had been issued with them. 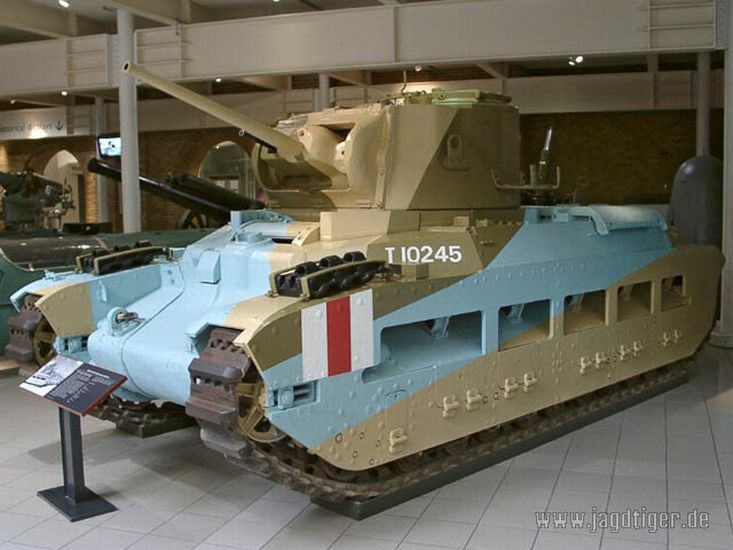 The Matilda II was the most powerful tank available to the British forces in 1939 and 1940 as it was a modern, well-armoured design but it lacked hitting power due to the 2pdr gun installed. It was also difficult to produce due to its complex design, but when production ended in 1943, 2987 had been produced. The thick armour of Matilda II was one of its most valuable assets, and in France and the early desert battles it was proof against all German anti-tank guns other than the infamous '88'. 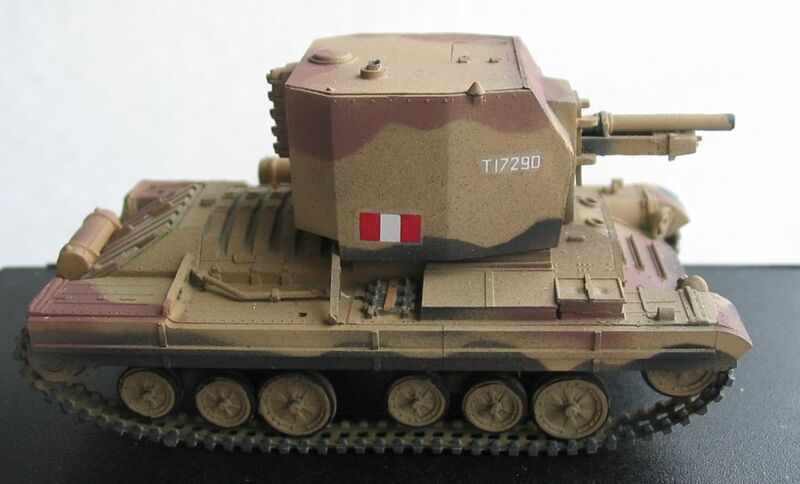 But the Matilda II lacked speed and the small turret ring prevented anything heavier than the 2pdr being fitted so after 1942 the Matilda was used for a whole host of special purposes. The Matilda did remain in use in the Far East until 1945 with the Australian Army and some Matildas were supplied to Russia. 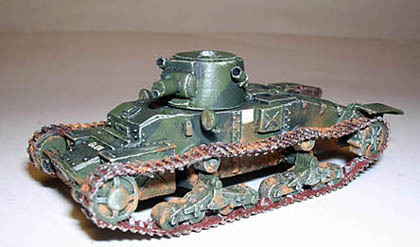 Infantry Tank Mark II:...First productiontype. 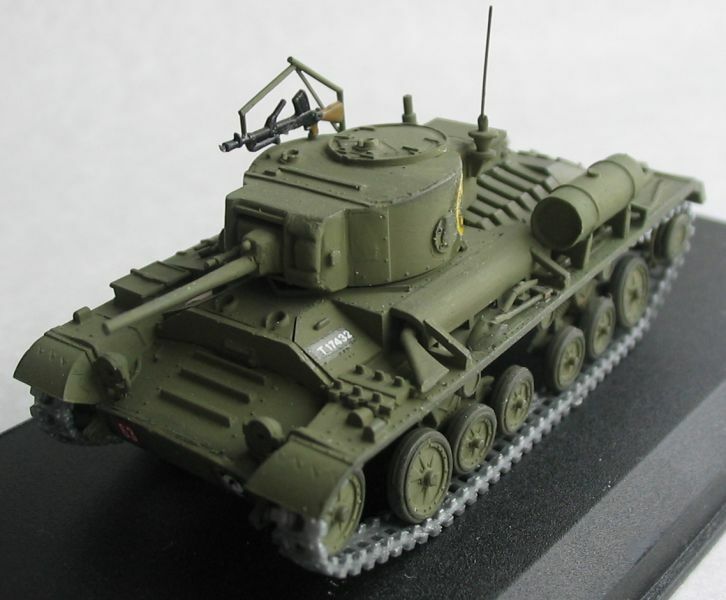 Infantry Tank Mark IIA:...The Mark II fitted with a 7.92mm Besa MG.
Infantry Tank Mark IIA*:...AEC diesel engines. 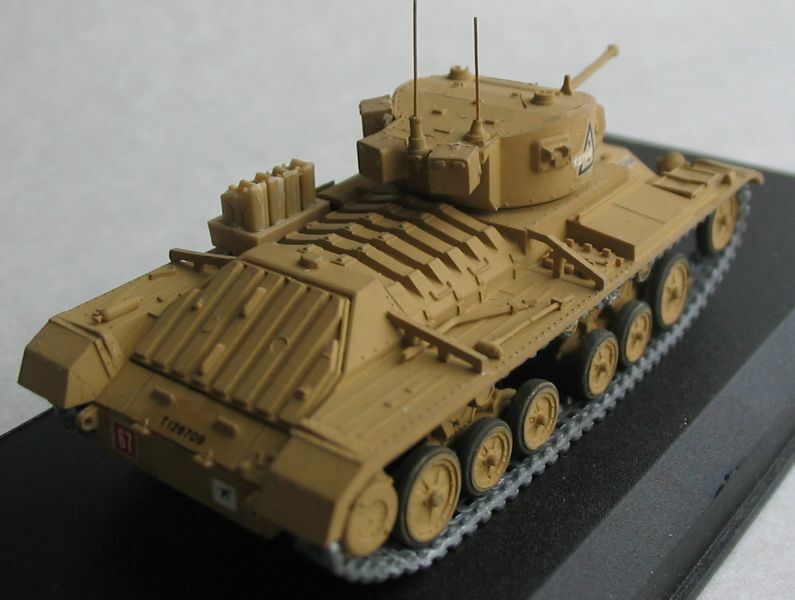 Know as Matilda III. 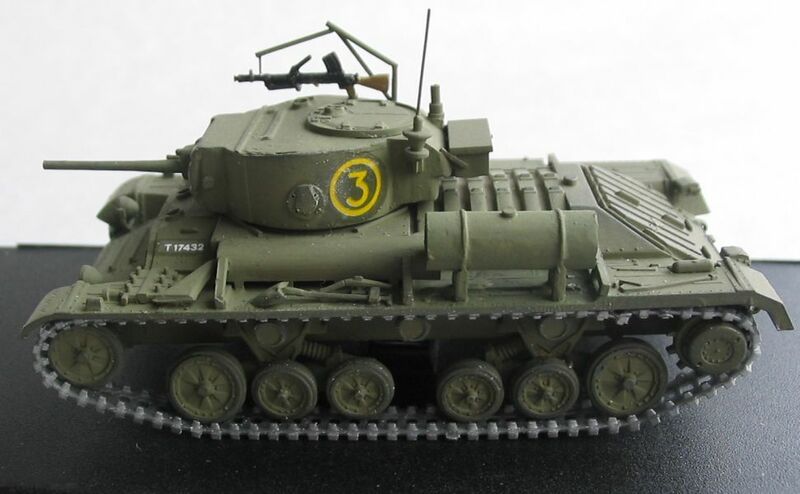 Infantry Tank Mark IIICS:...Fitted with a 3-inch howitzer in place of 2pdr. 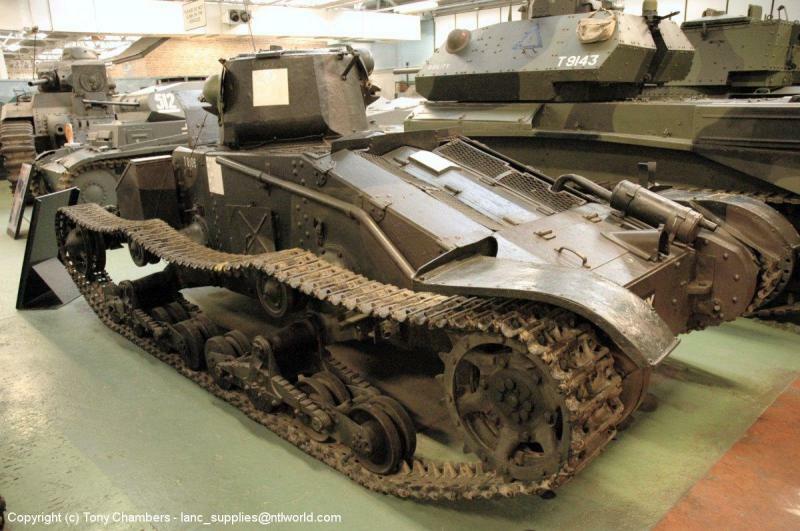 Infantry Tank Mark IV:...Infantry Tank Mark IIA**.Improved Leyland engines. Infantry Tank Mark V:...As Mark-IV with gear improvements. 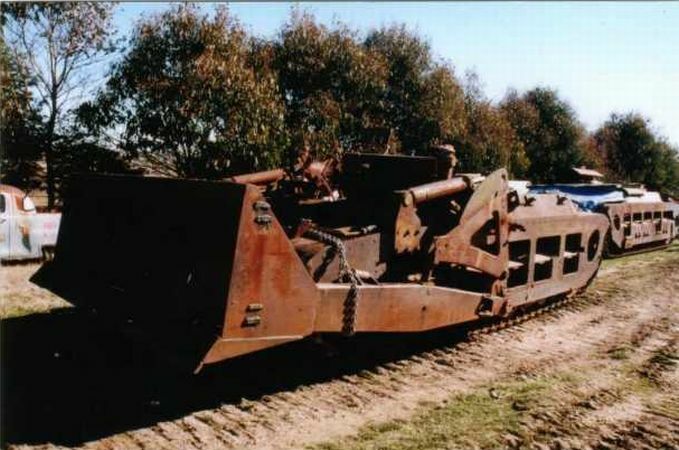 Matilda Baron:...This was a turretless Matilda hull fitted with a mine 'flail'for mine clearing. 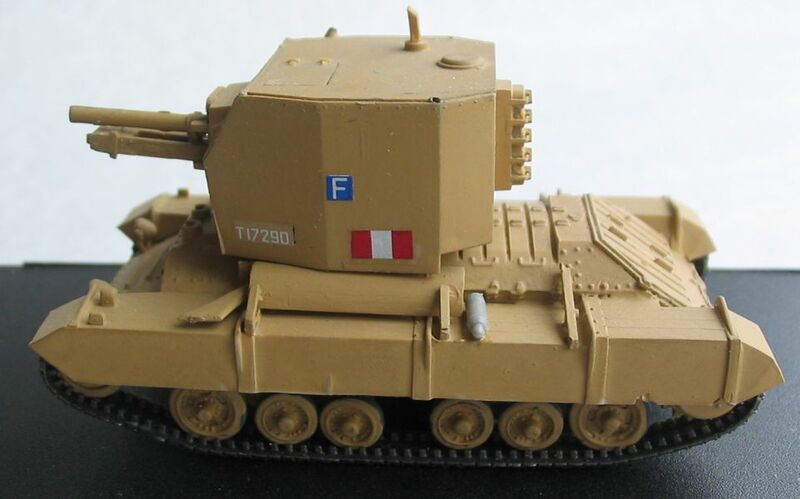 The Marks I and II retained the turret - the Mark II had engines for turning the flails mounted on the sides. 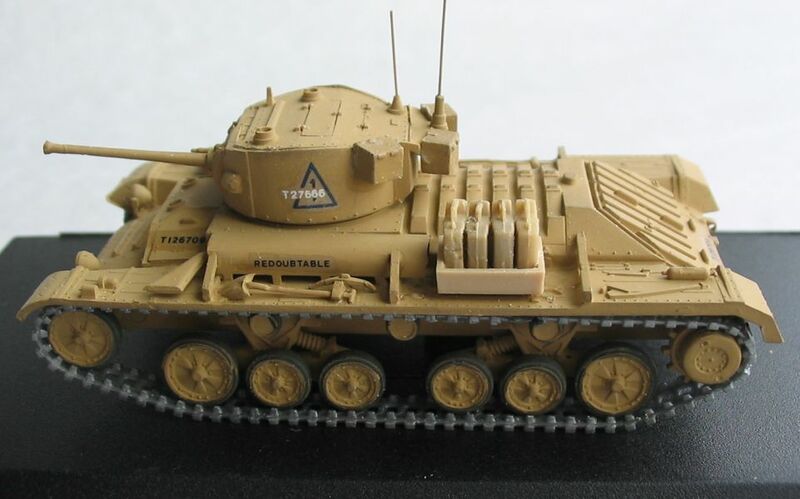 Matilda Scorpion:...A middle East mine clearing flail tank - used at El-Alamein in 1942. Matilda with AMBA:...On the mineclearing variant, the Matilda pushed heavy rollers. 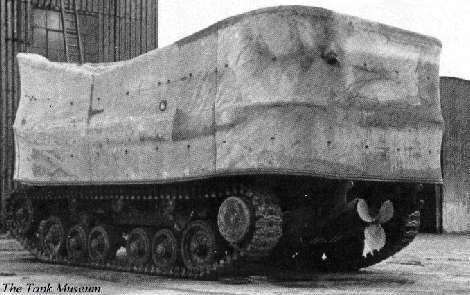 Matilda with Carrot:...Carrot was a 600lb/272kg demolition charge held on a frame in front of the Matilda. It was placed against an obstacle and detonated from inside the tank. Matilda Frog:...An Australian flame-thrower installed in place of the gun. Matilda with Inglis Bridge:...or Trench Crossing Device. Two 'pushed' bridges for crossing gaps or trenches. Infantry Matilda Panzerkampfwagen Mark II 748(e):...A captured Matilde used by the Germans.